Over the past six months I have been in extensive contact with Professor Tao Wang and his Digital History Centre at Nanjing University, China. 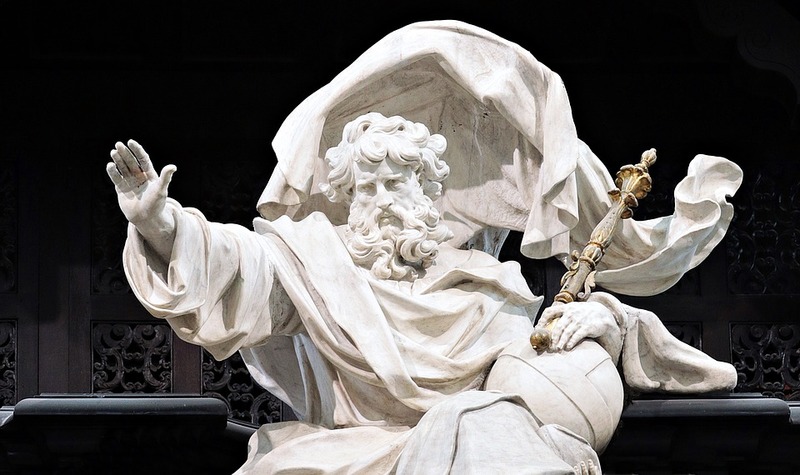 Our mutual friend, Simon Mahoney (University College London), who knew I was keen to set up collaborations with digital humanists in China, put us in touch and told me that I simply had to speak to Tao. In November 2018 this resulted in a first visit to Nanjing University. I came back blown away by the quality and the level of commitment to Digital Humanities at Nanjing University. I returned home feeling invigorated and full of ideas and plans to deepen this promising collaboration. The first day of my visit Tao had arranged for me to meet some of his closest colleagues at his Centre and get a hands-on introduction to a range of projects. Professor Gang Chen’s project on the Historical Geographic Information System for Six Dynasties is, for example, one of the finest examples of a full integration of archaeological, material culture and textual data that is made accessibly through spatial querying. It is also an absolute labour of love for Gang Chen and his students. In the afternoon Tao had arranged a meeting with a number of his colleagues at the Humanities and Social Sciences Big Data Institute of Professor Lei Pei and Professor Jiang Li. Their work on tracking the global mobility of Chinese students and staff was very impressive. 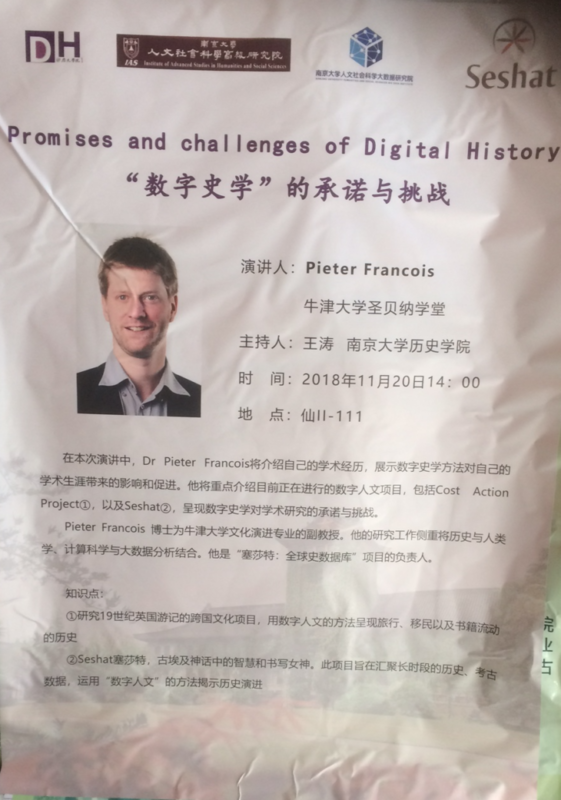 The second day of my visit I gave an invited lecture to approximately 50 enthusiast faculty and students of Digital Humanities at Nanjing University. My talk focused especially on our Cost Action project ‘Distant Reading for European Literary History’ and my ‘Seshat: Global History Databank’ project. After the talk we had a very lively discussion which we continued in the tea house afterwards. I especially managed to establish a real intellectual rapport with Professor Jing Chen. We left the tea house with a number of specific plans to introduce both projects to a wider audience in China. No doubt, this visit is only the first step in setting up meaningful collaborations between all research groups involved!